Description: Sometimes you need a little extra reach for larger pools. Save time and effort with the Primate X single extension attachment. Offering 6ft of extra reach and a sturdy connection design. Simply attach the pole extension to the tool end of the Primate 3X. 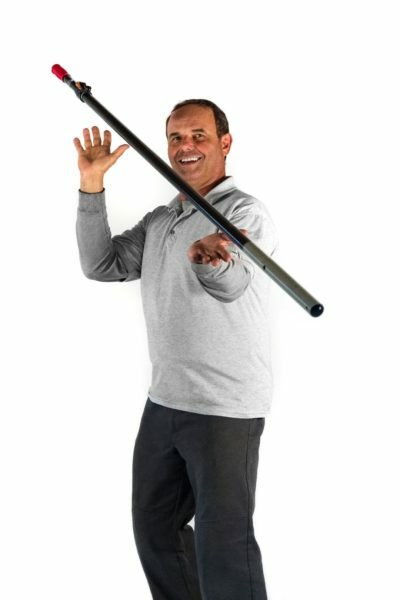 Joe DiAnna, the founder of Primate Pool Tools, has over 30 years of experience in the pool service industry and has used his knowledge to design the first carbon fiber service pole in the industry. 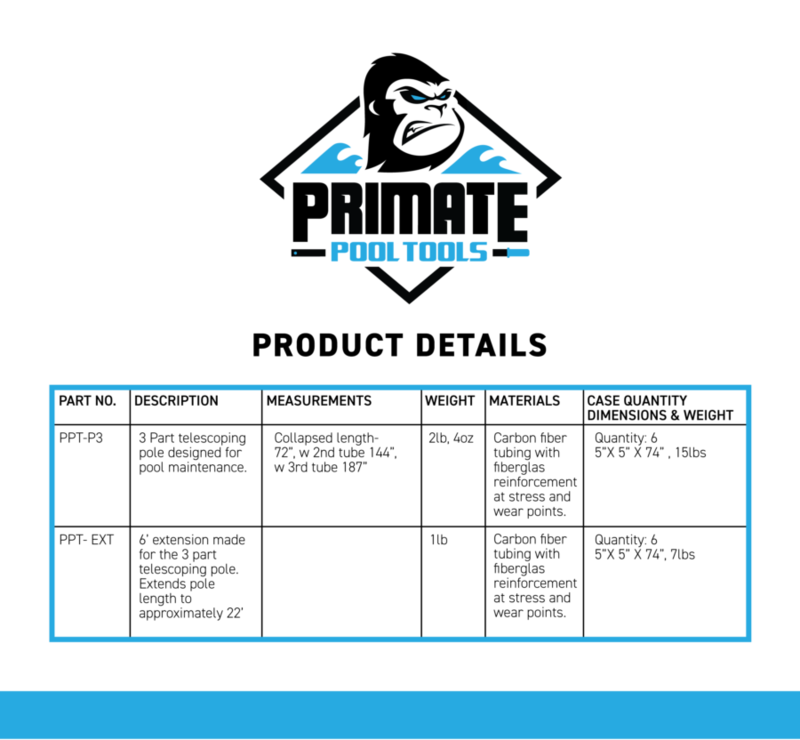 The Primate Pool Tool is by far the most reliable and durable pool cleaning instrument on the market improve your bottom line by using the absolute best. We have representatives standing by to answer any questions that you may have.